California: The Housing Bubble Returns? To read the periodic house price reports out of California, it would be easy to form the impression that house prices are continuing to decline. Most press reports highlight the fact that house prices are lower this year than they were at the same time last year. This masks the reality of robust house price increases that have been underway for nearly half a year. The state may have forfeited seven years of artificially induced house price escalation in just two years but has recovered about one-fifth of it since March. California Housing Market Since 2000: In 2000, the average median house price among California markets with more than 1,000,000 population was $291,000. The Median Multiple (median house price divided by median household income) was 4.5, making houses in California approximately 50% more costly relative to incomes than in the rest of the nation. According to the California Association of Realtors, the average median price peaked at $644,000 between 2005 and 2007, depending upon the particular market. This nearly 140% price increase translated into a more than doubling of the Median Multiple, to 9.2. Median prices fell rapidly from the peak, dropping at their low point to an average of $315,000. The average Median Multiple fell to 4.4, slightly below the 2000 level, but still well above the national level. All markets reached their low points in the first part of 2009. It is at this point that the business press lost track of what was going on. Of course, year on year price declines continued, but only because the price declines had been so severe early 2008. Since the bottoming out of house prices, there have been strong gains. As of September, the average median house price among the major metropolitan areas was $383,000, a nearly 20% increase from the low point. Moreover, in dollar terms, median house prices recovered nearly 20% of their loss from the peak to the low point. Profligate Lending: It is critical to note that the inflated house prices that existed two to three years ago were wholly artificial. Prices had been driven up by the special and hopefully never to be repeated conditions of profligate lending, which increased demand. California: Regulating Away Housing Affordability: But the increase in demand alone would not have been enough to produce the unprecedented house price increases had public officials and voters not established a veritable mish-mash of housing supply regulations. The house price increases were driven ever higher by these severe land use restrictions, which prevented housing markets state from meeting demand. Supply restrictions, which go under various names, such as compact development, urban containment and “smart growth,” have been a feature of California housing for some time. Examples of such policies are urban growth boundaries, building moratoria and expensive development impact fees which disproportionately tax new homes for the expanded community infrastructure a rising population requires. As more loose lending practices increased the demand for home ownership, the inability (and unwillingness) of the state’s land use regulations prevented the housing supply from increasing in a corresponding manner. With demand for housing far outstripping supply, prices had nowhere to go but up. The result was short term house price escalation that may have never occurred before in a first-world nation. Contrast with Healthy Housing Supply Markets: There was a stark contrast with house price increases in the liberally regulated markets around the nation. For example, in Atlanta, Dallas-Fort Worth and Houston, house prices remained near or below the historic Median Multiple norm of 3.0, as the supply vent was allowed to operate. This is despite the fact that there was a strong underlying increase in demand for home ownership (measured by domestic migration) in these and other liberally regulated markets. In the California markets, on the other hand, there was overall negative underlying demand, with significant domestic out-migration. Of course, speculation ran rampant in California, as could be expected in any market where asset values are responding to a severe shortage of supply relative to demand. 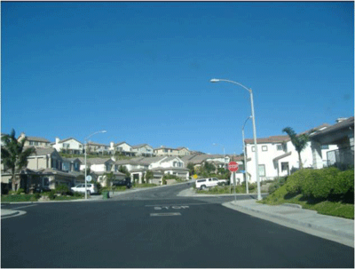 By the 1990s, Dartmouth’s William Fischel had associated California’s high house prices relative to the nation with the intensity of its land use regulation. In 1970, as the more severe regulations were beginning, house prices in California were at approximately the same level relative to incomes as in metropolitan areas in the rest of the nation. California’s disproportionate losses are illustrated by the fact that its major metropolitan areas have less than twice as many total owned houses as those in Texas (Dallas-Fort Worth, Houston, San Antonio and Austin), yet experienced gross value losses 85 times as great as the Texas metropolitan areas by Meltdown Monday (September 15, 2008, when Lehman Brothers failed). Recent Price Increase Rate Exceeds the Bubble: While widely unnoticed, the post-bottom median house price has increased 20%. In six months or less, the average median price increase among California metropolitan areas exceeded the annual price increase for all of the bubble years except one, which was 22% in 2004. The 2009 price increase rate, annualized, is nearly double that. As a result, despite the widely reported bubble collapse, California’s housing affordability now is worsening relative to the rest of the nation. The prospect could be for further inflation of the bubble, with the passage of Senate Bill 375, which is likely to lead to even more intensive land use restrictions, on the false premise that higher densities will materially reduce greenhouse emissions. As governments increasingly force development to occur only where it prefers, the property owning winners can extract much higher prices than would occur if there were more competition. This of course will mean that the more dense housing units built will be even more expensive, even as the market is prohibited from supplying the larger detached homes that households overwhelmingly prefer. All this will make California less competitive, something the increasingly uncompetitive Golden State could do without. Another View: The recent price escalation, however, may be illusory. The widely read California real estate blog, Dr. Housing Bubble suggests that the first wave of “sub-prime” loan failures that constituted the bubble burst could be followed by a second wave over the next few years, driven by “option arm” mortgage resets. The Doctor notes that these loans are concentrated in California and other ground zero states (Florida, Arizona and Nevada), unlike the previous wave, which was more evenly spread around the nation. In the End: Regulation Will Lose the Day: Thus, the “jury is still out.” The bubble may be re-inflating in California, or another bust could be on the horizon. However, in a state that has given new meaning to regulatory excess, the longer run prospects call for artificially higher housing prices, unaffordable to much of the state’s middle class. This means that California will continue to become an ever-more bifurcated state, between an aging, largely affluent coastal homeowning population and, well, just about everyone else. Submitted by hyutars on Fri, 05/17/2013 - 21:42. Submitted by hyutars on Mon, 05/13/2013 - 06:34.